Today i am going to show you how to change your blogger post results on Google. I will also be Discussing on the importance of Placing Post Title Before Blog Title In Google Search Results. Google shows only first 66 characters of the title in search results.If you're using blogger for your blog then you may notice search engines by default show your Blog Title first instead of Post Title. This reduces the SEO benefits because our post titles which have the main keywords got chopped because of the characters limit in search results. Certainly this will affect the flow of visitors to your site. Because when someone is searching for a topic he would like to click on that particular topic which matches his search words and/or interest him/her the most and not your blog title, because most of them may not be knowing it. 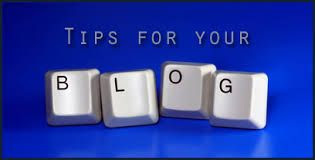 But if your blog title appears first then the visitors may skip your site! So, to take the proper benefits we have to optimize our blog so that post titles shows before blog title in search results.That's why we should use them effectively. So, to take the proper benefits we have to optimize our blog so that post titles shows before blog title in search results. If you want your post title to appear before your blog name on Google’s search results page, then the process is very simple and almost anyone can do it, even newbie blogger users. And that’s it, you’re done! After a few days your blog title will appear AFTER (and not before) your post title, the next time it appears in Google’s search results page like this. Showing the individual post or article title first, before your blog title tells readers and most of all, the search engines, exactly what the article is about, so you get targeted readers who are directly interested in your content. hey bro i need this template (used in your blog) to my blog also www.praveenkanwar.blogspot.com so where can i get this template plz help me....reply to praveen.kanwar0@gmail.com thank you ! thanks..I want to know how to remove blog name in search results? Reply please!! Thank you very much. It is working fine. Your awesome keep it up! hey bro please help me , help me i can't find the code . http://www.phponwebsites.com is my blog url. It displayed well in google search without using your changes for title. That means, it displays post title before blog title in google search. But it is changed when i hover above the address bar after reached my post. So may i used your tricks. Is it affect any other functions? it is really important for SEO point of view title name of the blog post is important. sir mai ne apne blooger par sevida blogger template upload kia hai aur us mai ye code search karnay par nahi mila.to ab mai kia karo.plz help me. Good day! Can you help me replace the separator between the post title and the blog tittle? Instead of using dash (-) i want to change it into double vertical bar (||). Thanks!